Bowie’s son, Duncan, confirmed the news via Twitter, writing: “Very sorry and sad to say it's true. I’ll be offline for a while." 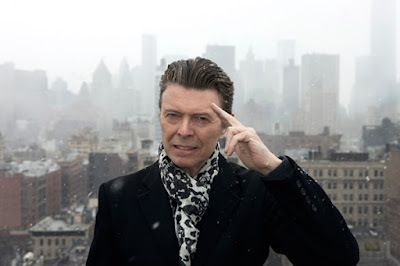 Bowie recorded “Blackstar” in 2015 with producer Tony Visconti at the Magic Shop in New York, while the title track was commissioned for use in last fall’s Sky Atlantic Europe crime series The Last Panthers. The TV connection with director Johan Renck saw the pair work on videos for “Blackstar” and “Lazarus,” while the latter song was used in the current New York stage production of the same name, written by Bowie and Enda Walsh and directed by Ivo Van Hove. Born David Jones in London in 1947, he displayed talents as a young child in the areas of music, art and dance and he pursued these disciplines through his school years, eventually forming his first band at the age of 15. Jones issued his first single, “Liza Jane”, at the age of 17 and changed his last name to Bowie in 1966 – to avoid confusion with Davey Jones of The Monkees – ahead of the release of his self-titled debut album a year later. A film career as an actor delivered roles in “The Man Who Fell To Earth,” “Labyrinth.” “The Hunger,” “Twin Peaks: Fire Walk With Me” and others. Bowie underwent emergency heart surgery in 2004 and maintained a low profile prior to his 2012 return.